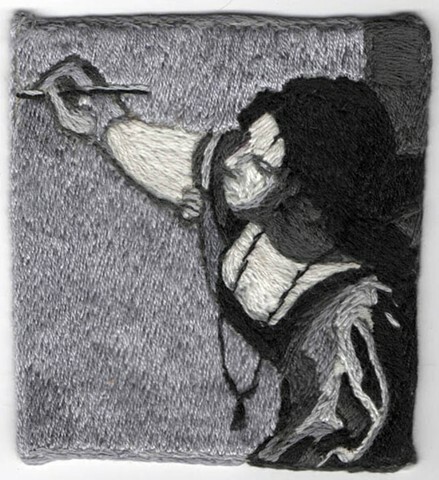 Women artists throughout history often had to make difficult decisions and sacrifices to disregard conventional, societal expectations in order to forge professional careers as painters, sculptors and photographers. 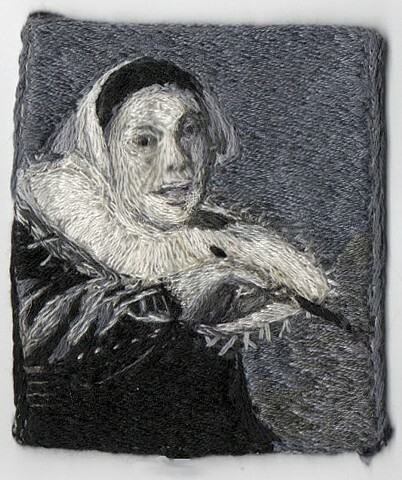 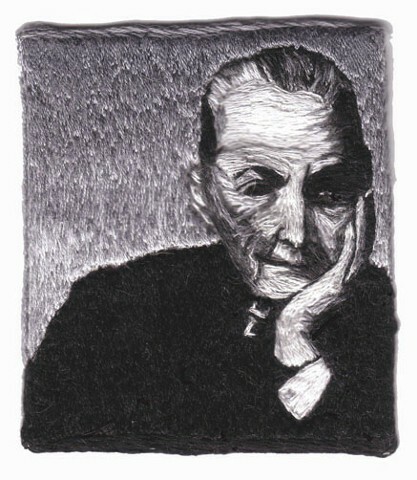 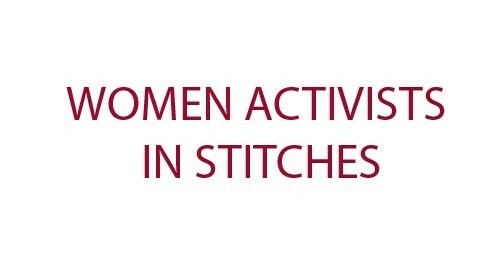 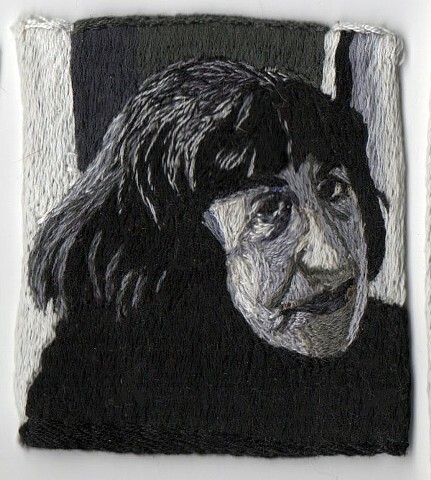 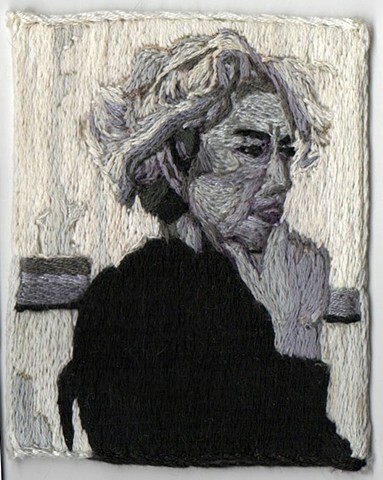 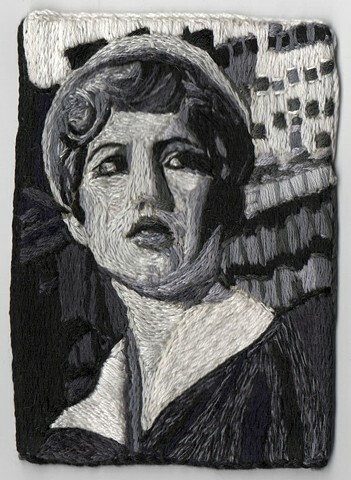 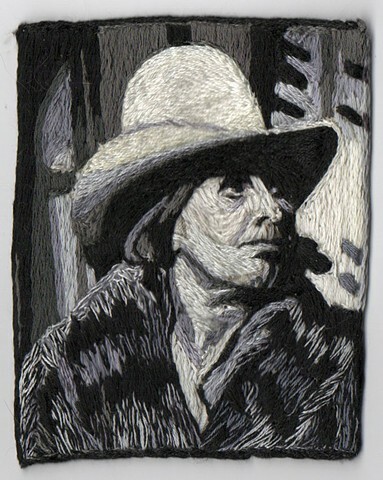 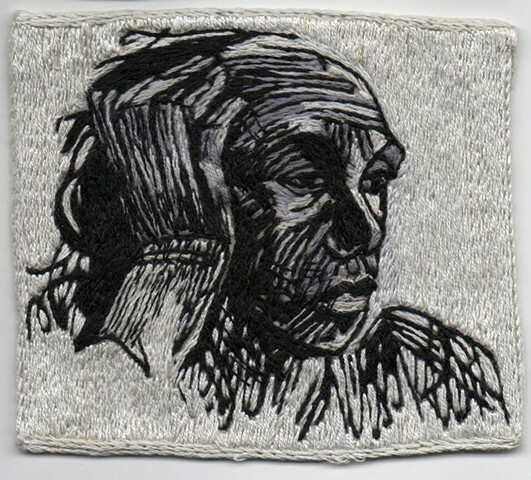 Representing them in “stitches” is my metaphor for a laugh at the criticism they often encountered, but also ironically uses a form that is historically considered “women’s work”. 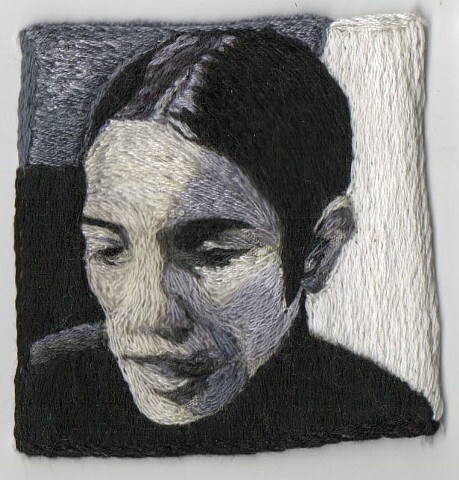 For this project I was able to combine the traditional craft of embroidery with my professional experience in painting and drawing. 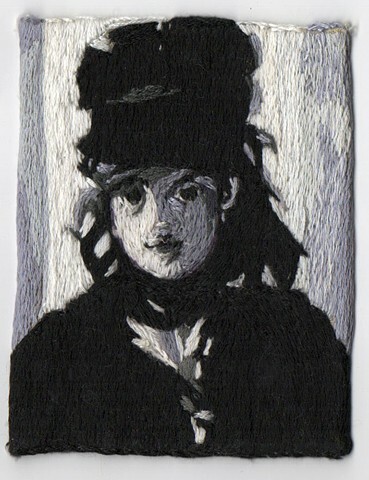 I find, not so surprisingly, that the activities demand the same formal, compositional and observational qualities. 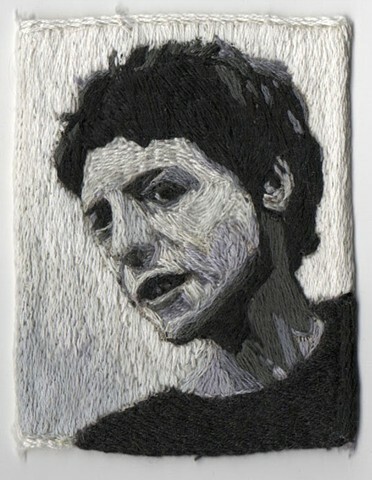 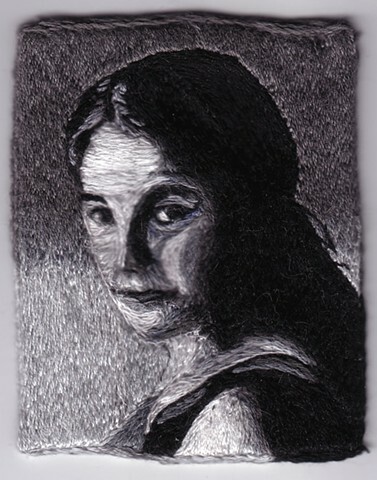 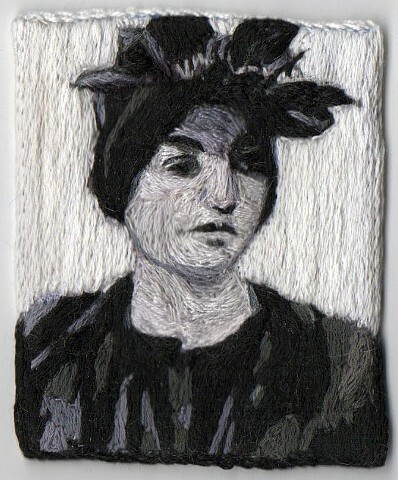 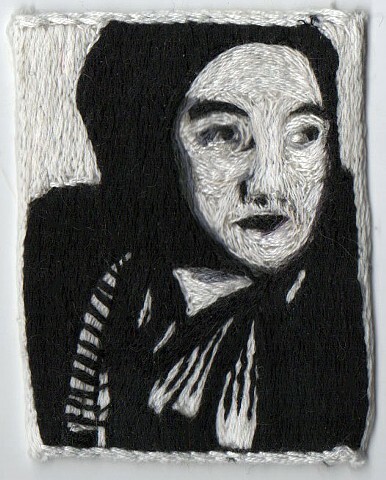 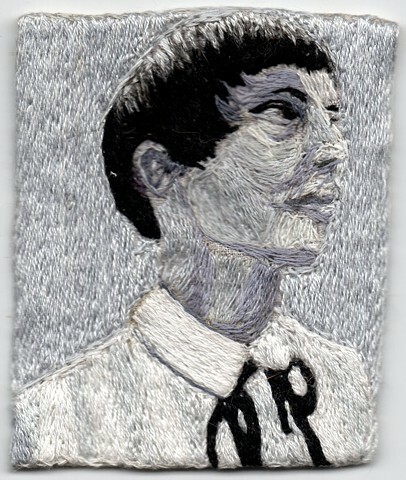 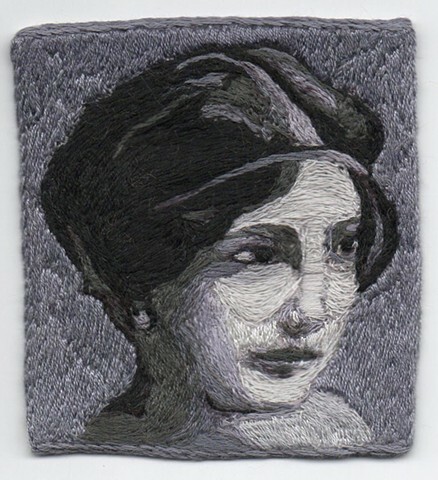 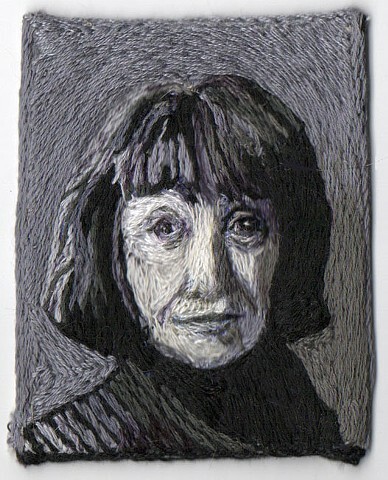 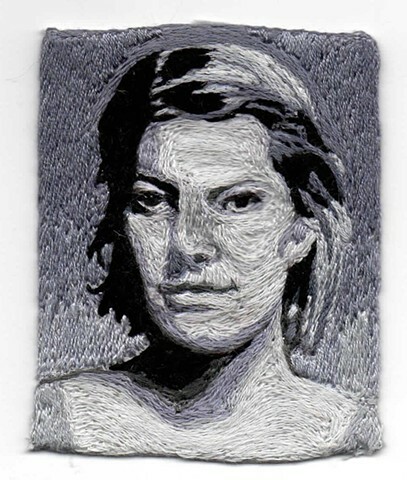 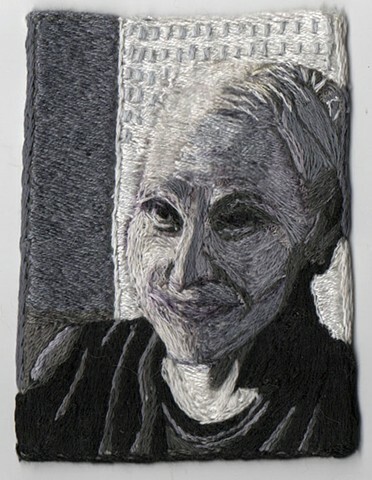 Building an image with thread is the same as with any mark-making material. 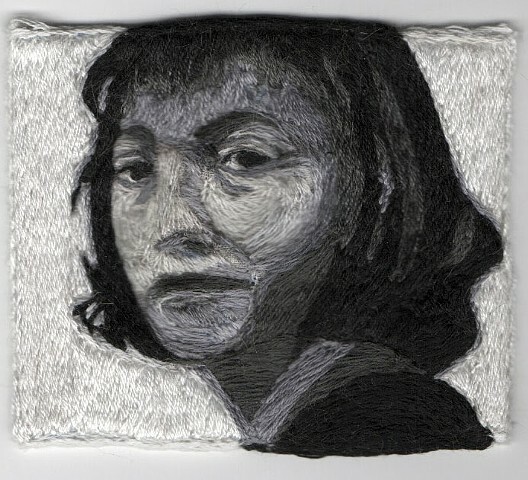 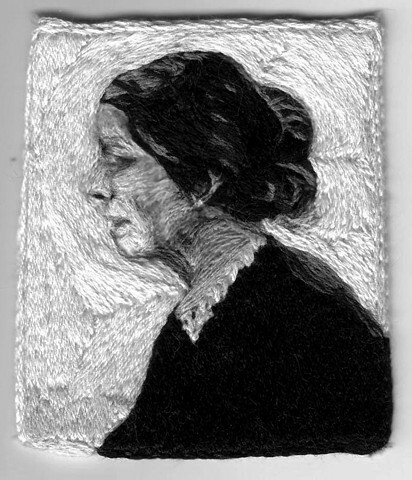 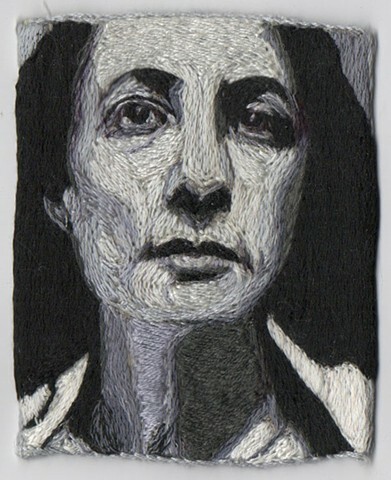 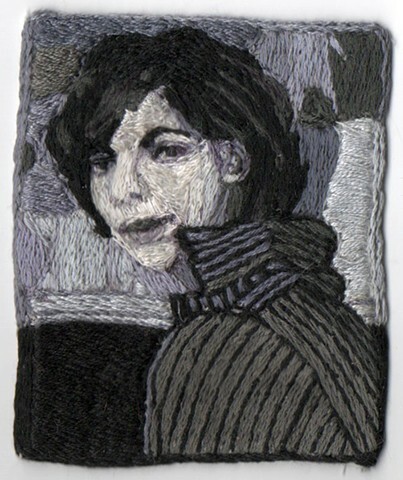 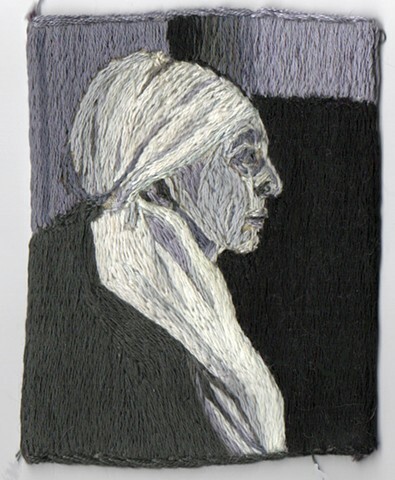 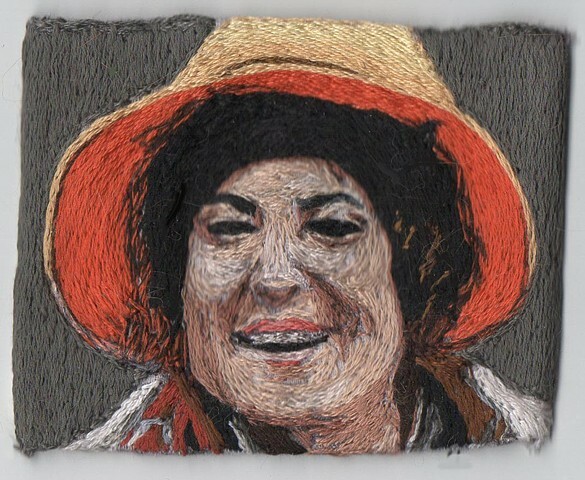 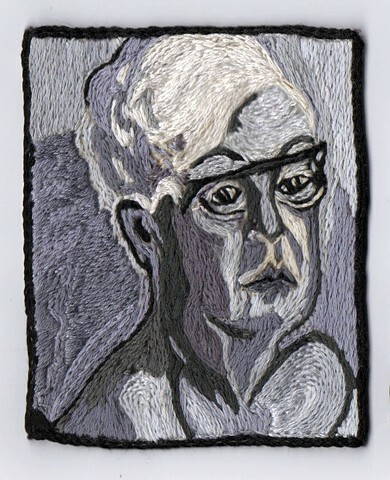 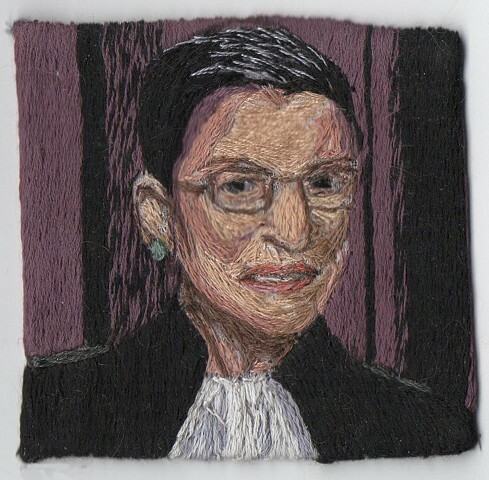 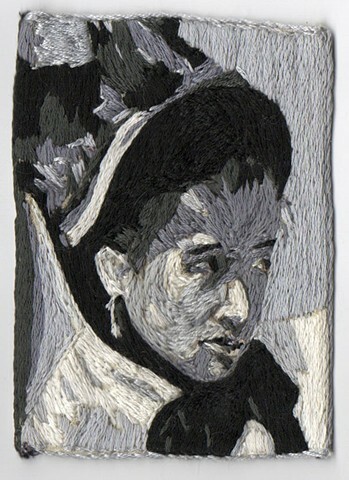 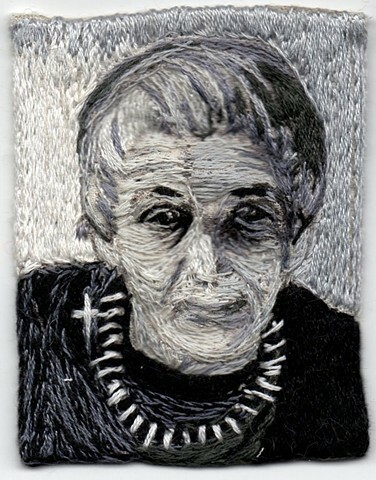 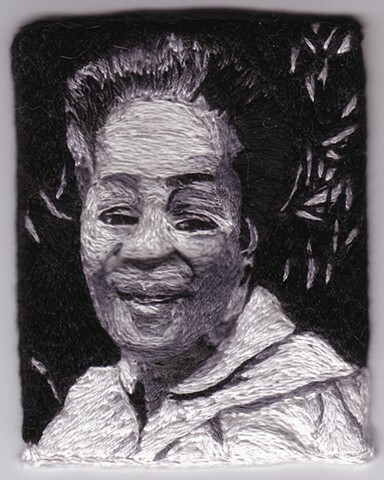 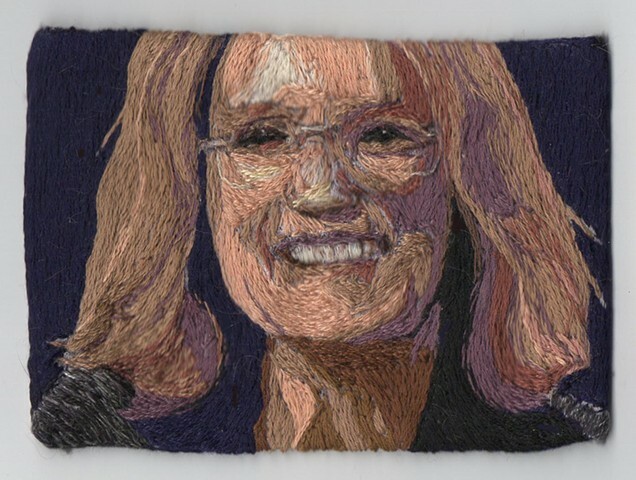 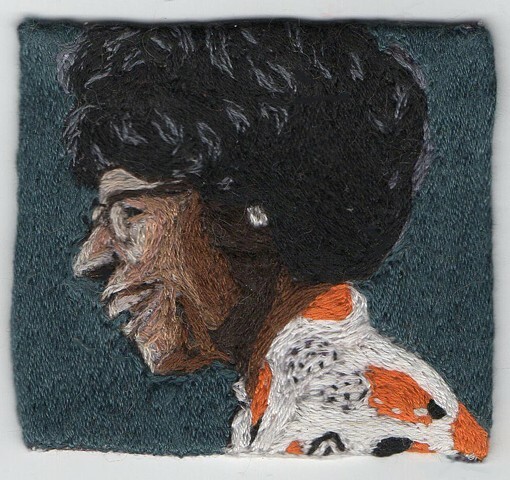 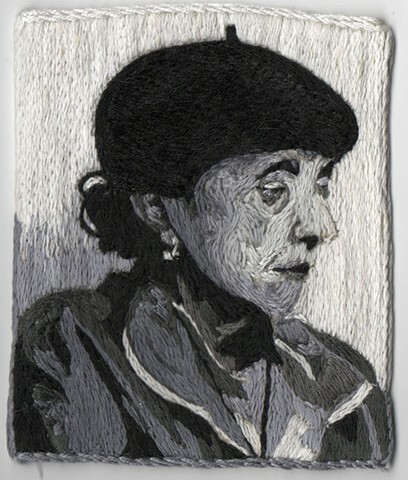 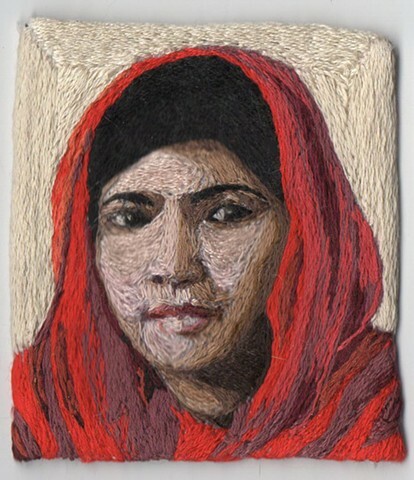 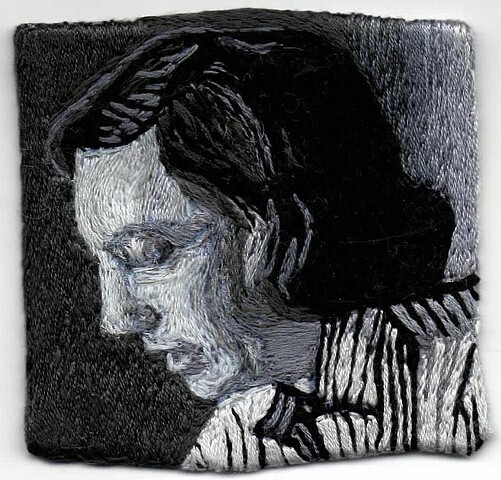 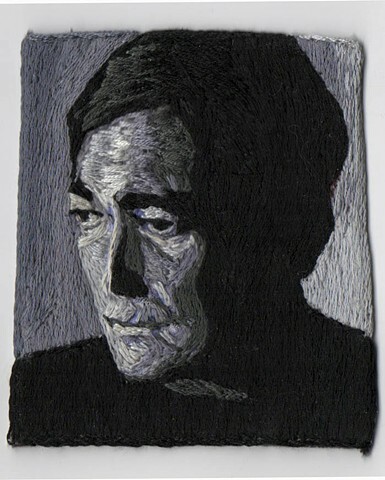 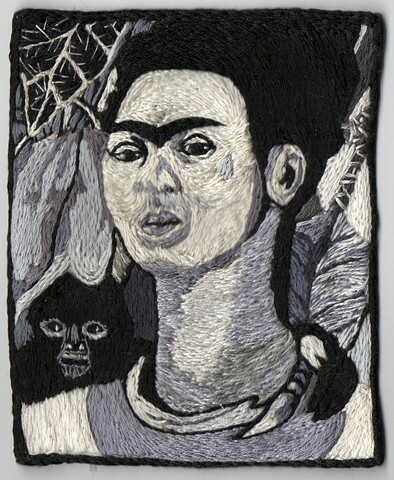 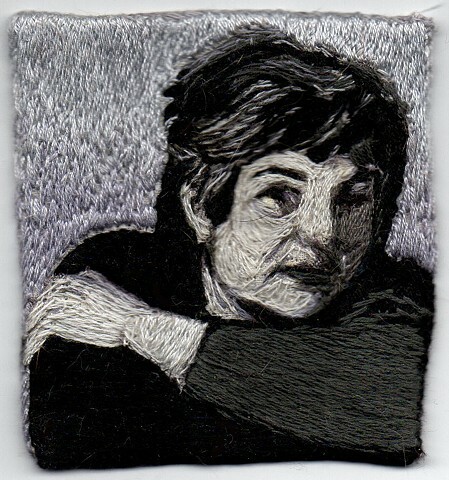 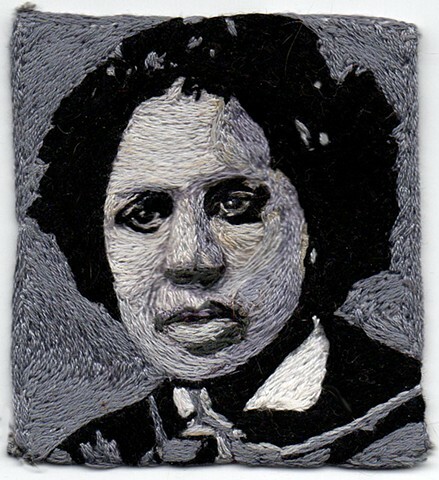 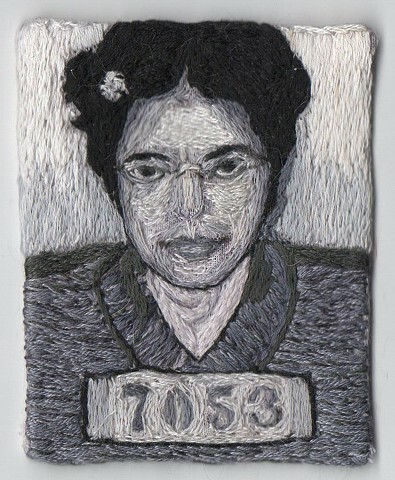 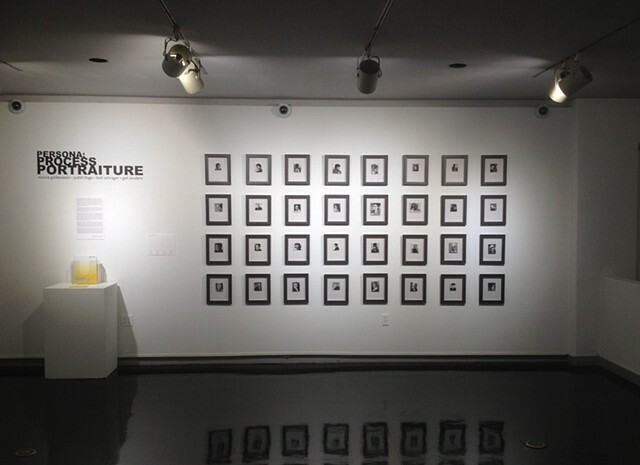 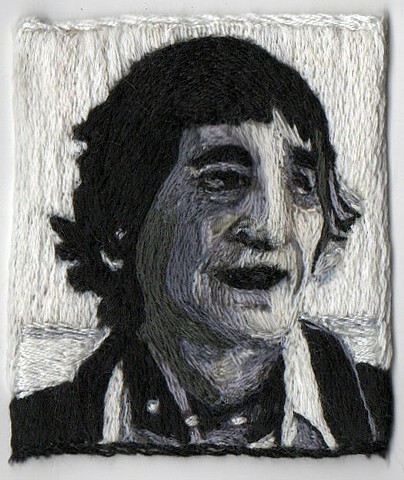 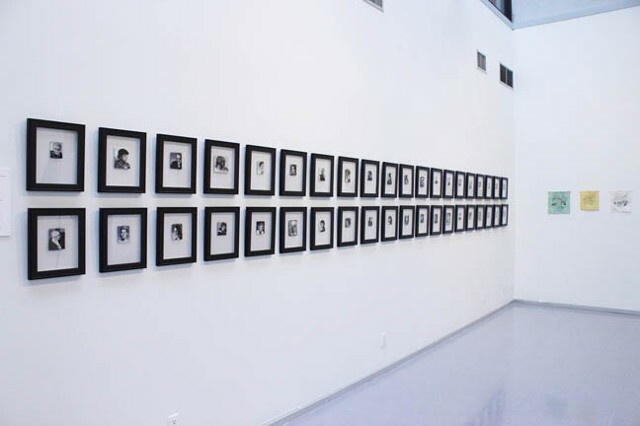 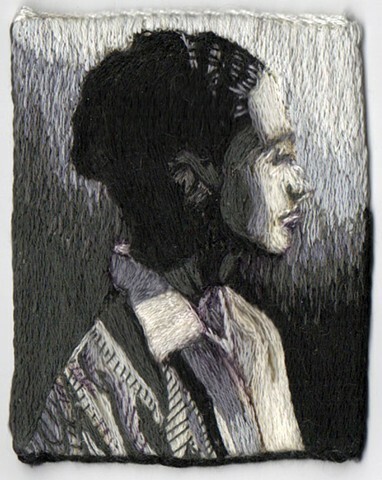 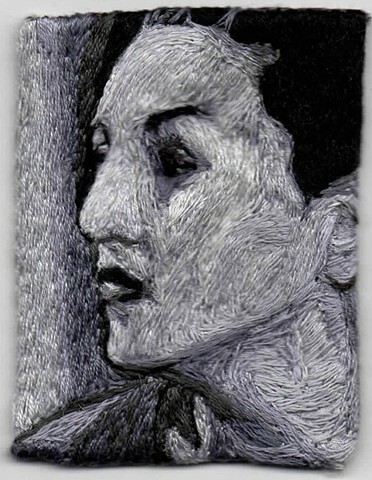 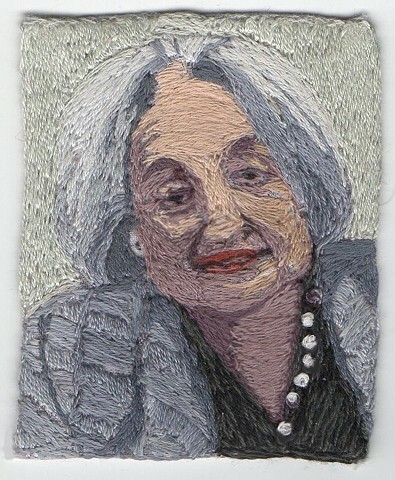 I chose “stitches” to depict and honor a few of these extraordinary icons through what is generally considered a domestic art form—something they eschewed in their own lives.